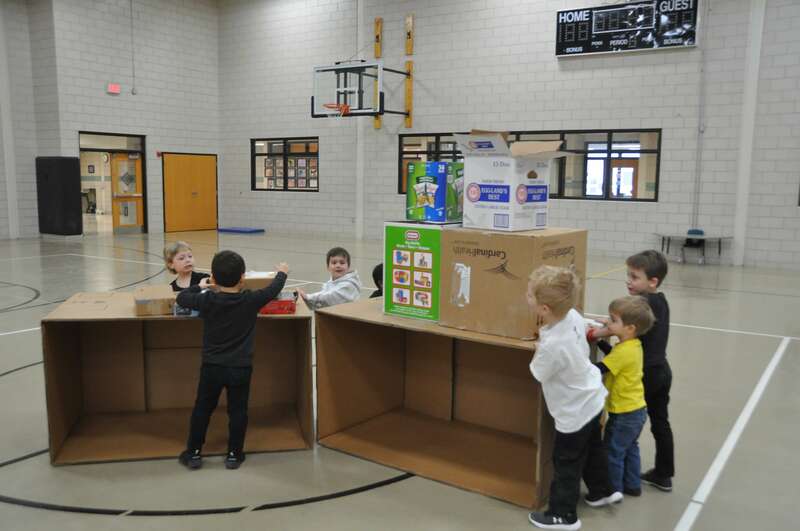 The preschool students participating in building day on Monday, exploring the specific day theme of “Celebrating Our Community.” The students had a lot of fun building and learning about community with their boxes. 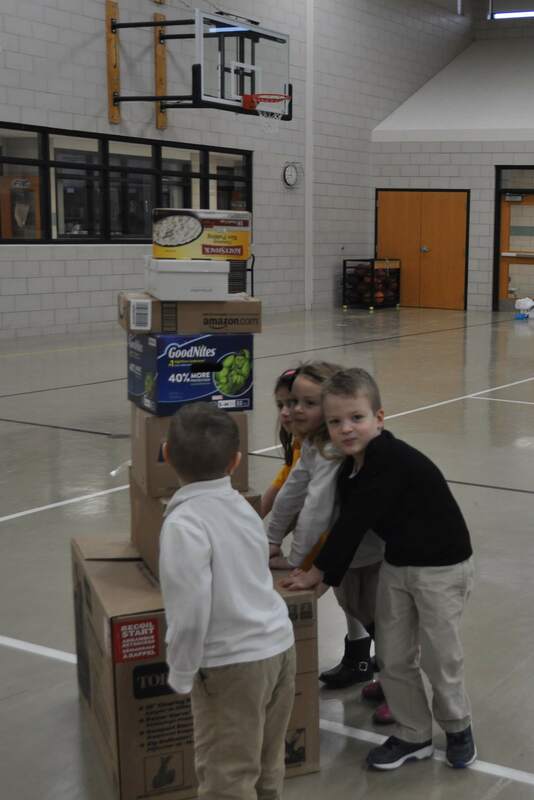 They talked about working together and helping each other. → Dancing at a Piston’s Game!